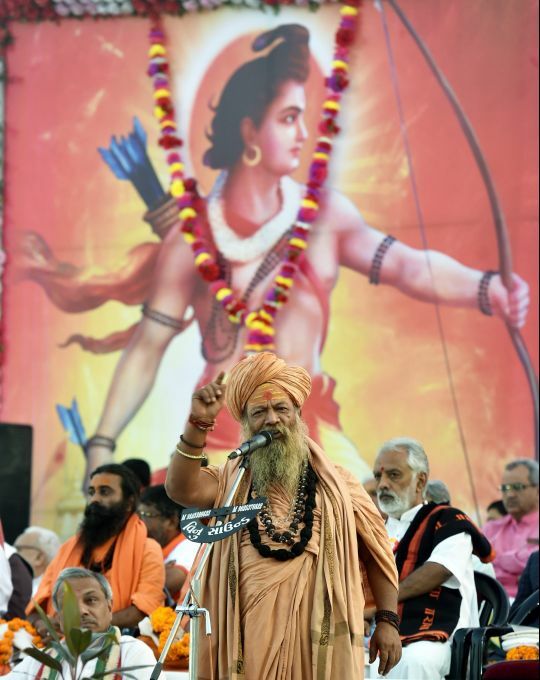 Ahmedabad: Acharya Mahamadaleshwar Bikaner Rajguru Vishokanand Bharti addresses during the Viswa Hindu Parishad (VHP) rally for the construction of Ram Temple in Ayodhya, in Ahmedabad on Sunday, Dec 09, 2018. 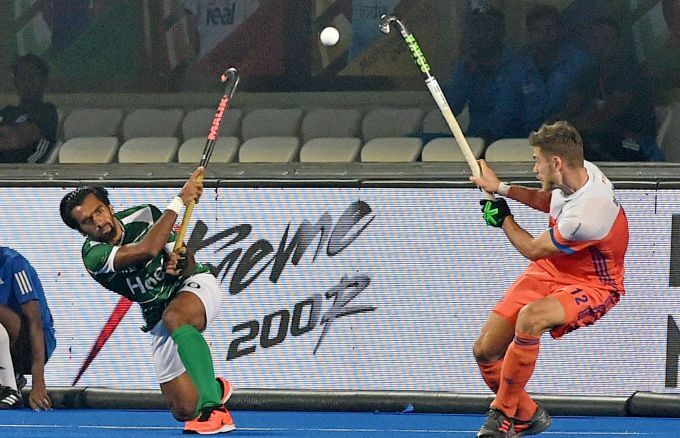 Bhubaneswar: Pakistan(green) Shan Ali and Netherlands (white,orange) SanderWijn vie for the ball during their match, at Men's Hockey World Cup 2018, in Bhubaneswar, Sunday, Dec. 9, 2018. 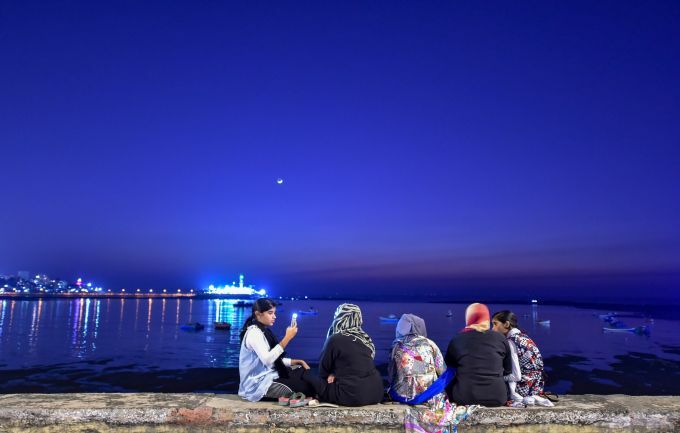 Mumbai : Girls seen enjoying a winter evening at the Haji Ali promenade in Mumbai on Sunday, Dec. 9, 2018. 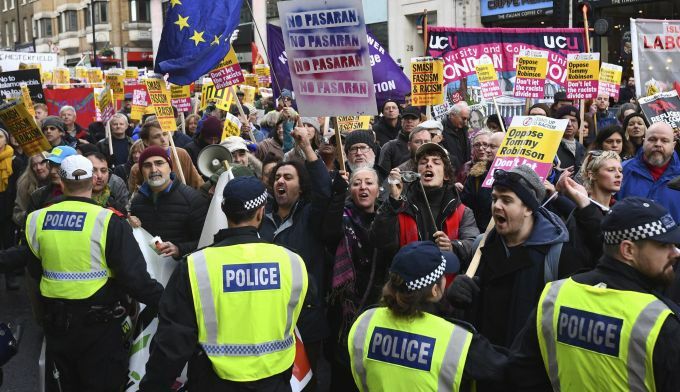 London : People take part in an anti-fascist counter-demonstration against the "Brexit Betrayal Rally" led by English far-right activist Tommy Robinson who serves as a political adviser to the Leader of the UK Independence Party, UKIP, in central London, Sunday Dec. 9, 2018. Police patrolled the route and separated the two rallies. Kannur: Civil Aviation Minister Suresh Prabhu and Kerala Chief Minister Pinarayi Vijayan flag off the first flight during the inaugural ceremony of Kannur International Airport, in Kannur, Sunday, Dec. 9, 2018. 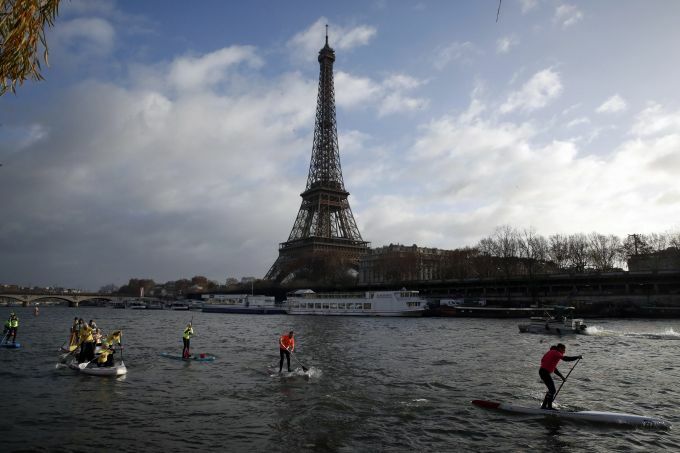 Paris: Competitors paddle on the Seine river during the Nautic Paddle race as part of the Nautical Paris Boat show, an exhibition dedicated to all the watersports, in Paris, Sunday, Dec. 9, 2018. The Eiffel Tower is seen background.